If you’re keen on seeing immediate results, then you may be interested in pay-per-click advertising. Here at RCS, we will help you properly set-up pay-per-click advertising, the only marketing solution designed to bring in revenue in the short-term. The only downside to pay-per-click advertising is that, once you suspend your service, you will also see the benefits dissipate immediately. This is why our experts see pay-per-click advertising as an extremely useful tool, but one that is best implemented in conjunction with other marketing strategies. The more diverse and comprehensive your marketing campaign, the better results you will see. For effective pay per click advertising that will direct increased traffic to your website, it is important to choose an Internet marketing company with a proven track record of success. RCS is a leader in pay per click advertising because we employ the services of experienced and knowledgeable professionals who carefully design pay per click advertising campaigns tailored to meet the needs and goals of our clients. That said, pay per click advertising often works best in conjunction with other indispensable Internet marketing services such as search engine optimization (SEO) and social media marketing through popular forums like Facebook , Twitter, and LinkedIn. Pay per click advertising offers immediate results, though unlike SEO and other Internet marketing tactics, it does not build into larger gains over time. This is why our team of experts at RCS often suggests combining pay per click advertising with other more long-term strategies. 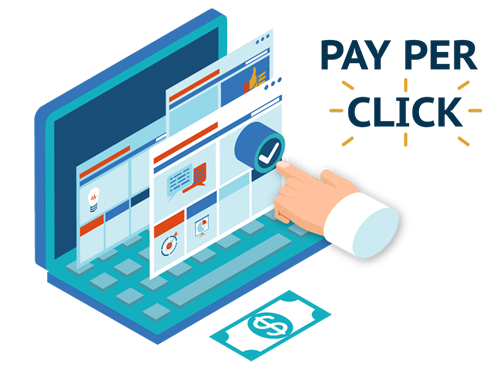 If you are interested in learning more about pay per click advertising, or about any of the diverse Internet marketing services available at RCS, go ahead and contact us for a FREE consultation. Choose an Internet marketing company with a reputation for superior results and personalized customer service. Choose RCS, and take advantage of the wealth of talent and expertise we have to offer. 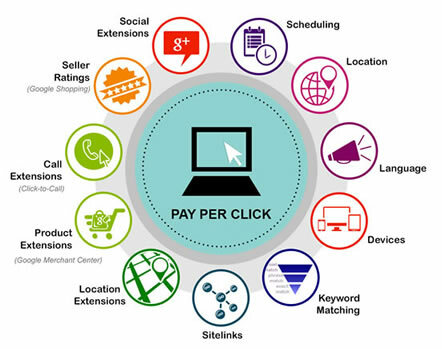 Call us for a free consultation regarding our “Pay-Per-Click Advertising” services. If you’ve decided to make pay per click advertising part of your marketing plan, it’s important to have it all planned by an Internet marketing company with a history of success. Watching Google’s uniquely organic method of linking customers to products over a long time span is the only way to truly understand how to use pay per click management to its fullest. The resources you have to allocate for advertising will never be wasted when you rely on RCS for pay per click advertising management. The auction-like world of Google’s advertising landscape means that a relatively small-independent business can get a foothold in a difficult market, but the auction-like methods by which Google sells advertising can be a hurdle for inexperienced marketers. With our pay per click advertising management, we at RCS, on the other hand, can hone in on exactly when and where to advertise your product or service. We can determine where to place ads in searches, and we even know when it’s cost effective to withhold advertising from certain Google users, and avoid wasting precious time and money. RCS is such a well-rounded company; they can be relied on for all areas of Internet advertising and marketing without hesitation. Direct email marketing is a great method they might suggest in addition to finding the best search engine optimization methods they can for your needs. The best methods of building awareness for your product or service are methods that involve not only search engine optimization marketing, but other ways of interfacing with your clients as well. We strongly feel that SEO in combination with pay per click advertising management is the best way to market your business. For more information, contact us directly and schedule a FREE consultation today.